One of the more helpful features of the Maps apps for iPhone is the ability to get directions to your home or directions to your work, from your current location. This is a great feature for the directionally challenged in particular, but it’s also helpful if you’re exploring a new part of a city or state, or if you just want to go on auto-pilot and don’t want to overthink which turns to make to get home or to the office. The directions home or work are offered through Apple Maps, and the directions home feature works with Google Maps too. One thing to note is that in order for directions home to work you must have your own personal contact information set in iOS, including your home address, and if you want directions to your work, you’d need your work address included as well. As mentioned, this works basically the same with Apple Maps and Google Maps, so use whichever app you prefer to use to navigate. If you use Google Maps you may need to set your home and work address separately within the apps settings to get directions to there, depending on what you have set in your broader iOS Contacts. The default directions will be to use roads and vehicles, but if you’re in an area the public infrastructure to support it, you can also get public transit directions home or to work as well. Try this out the next time you’re on the road somewhere and need to get home, or if you took a wrong turn on the way to the office and you want some simple directions to work. The feature is quite nice and is undoubtedly helpful. 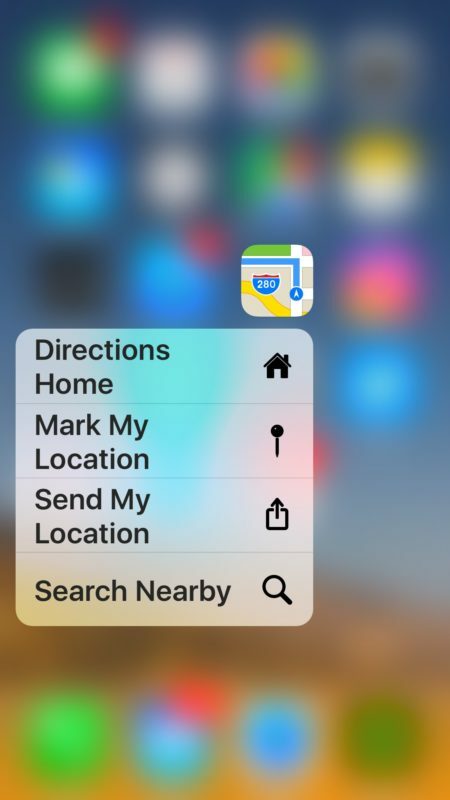 If you don’t have an iPhone with 3D Touch then this feature is less useful to you, but you can still get directions home and directions to work by simply using the Maps apps built-in search features. Simply search for “Home” or “Work”, and, assuming you have the appropriate address information filled out, you can select either location as a destination and get directions started there as well. Of course you can also start directions home or directions to work with iPhone by using Siri, simply ask Siri to get directions but specify to home and the assistant will summon the Maps and get you started on your way, an option which is available to any modern device with Siri. I have worked at the same fast food joint for 3 years as a janitor, and I still need to use maps or GPS everyday to get to work. The worst part is, my job is only 4 blocks from my house! If you know work is 4 blocks away, I doubt you would need a GPS. That’s not the real Wharf Xanadu, it’s an imposter. Google Maps doesn’t work for me, there is nothing on a 3D press. 3D Touch support is absolutely in Google Maps for iPhone, if the iPhone has with 3D Touch screen anyway. You may not have your settings configured though. hey man thanks a lot ! This is a good tip thanks. You can also use Siri and say hey Siri give me directions home. I use that when I am in the new city and drive home. Just fyi, this only applies to Apple’s maps app. 3D touch has not yet been enabled for google maps (i tested on my iphone 6s with google maps installed in it). 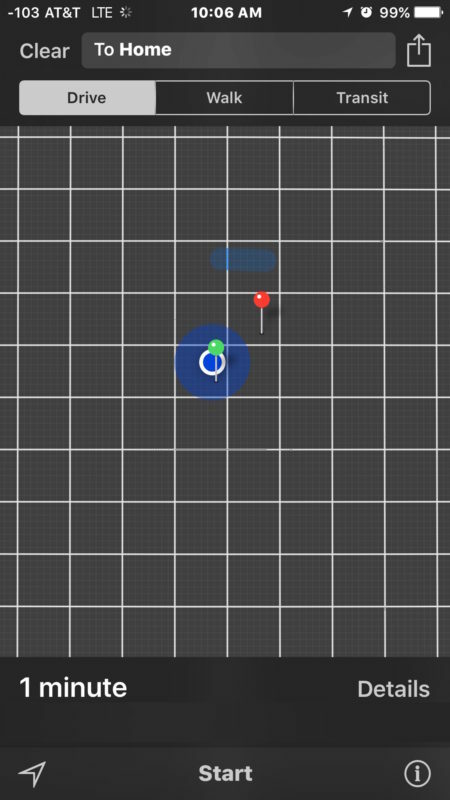 Ok so here I have this problem of locating my wife using siri and apple maps. I ask siri to locate my wife “by name” she’s in my contacts list and siri responds by giving our home address. How can I use siri to locate my wife if she is broke down in her car and she does not know where she is? Hahaha!! Have we really surrendered our lives so much that we can’t make our way home without our iPhones help. ?? I forgot to mention that I would like to find the location of my wife hands free i.e. using siri only while I’m driving. Texting and driving is illegal here. The author of this article has it backwards. 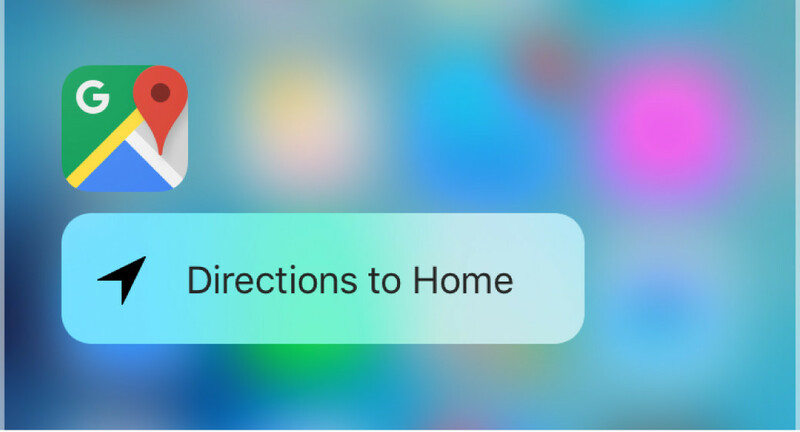 Work and Home are available via 3D Touch in Google Maps, but only Home is available via 3D Touch in Apple Maps. ahahah, finally, Xanadu can’t reach his work who are at 4 Blocks from his home & Rick loose his wife ! I am sure your both Iphones are impacted by a curse ! Many have claimed I can’t find my posterior with both hands. A map would be very helpful.